#CuriousGoat: What Do You Want To Know About Climate Change And Global Well-being? : Goats and Soda What questions do you have about the toll that climate change is taking — and about possible solutions? 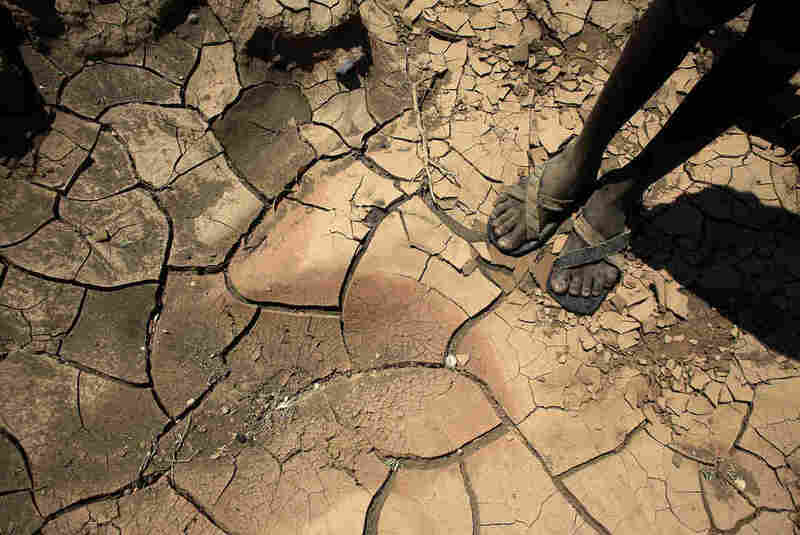 A boy from a tribe in Northern Kenya stands on a dried-up river bed. Read the response story of our previous #CuriousGoat on pandemics here. "People who are poorly off are always going to bear the brunt when things go badly," says Dr. Alfred Sommer, epidemiologist and dean emeritus at Johns Hopkins Bloomberg School of Public Health. We'd like to hear from you: What do you want to know about climate change and its effect on global well-being? Use the form below to submit your question. Thank you for submitting your question. The submission round is now closed. You have until Friday, March 24, to submit a question. We'll pick one and publish a story that answers that question next month.